When it comes to knee OA – along with every other medical issue – prevention is always better than cure, and anything which can keep people off the operating table is always worthy of attention. And a new report – from a study team at the University of Delaware – is another firm endorsement to the power of walking to prevent total knee arthroplasty. The study – which set out to determine if there was a link between walking intensity and the risk of total knee arthroplasty, be it positive or negative – studied the data of 1,854 participants who were marked as ‘at risk’ on the Osteoarthritis Initiative (the American data repository which monitors and tracks all potential and actual knee OA cases). This meant they had not undergone a total knee arthroscopy over the research period, which was 48 months. The study team also quantified and tracked the walking habits of each participant, first by giving each participant an accelerometer and tracking their steps over four days, and then by breaking the amounts of steps per minute down into four groups: non-walking (no steps per minute), very light walking (1 to 49 steps per minute), light walking (50 to 100 steps per minute) and moderate-to-vigorous walking (over 100 steps per minute). The results determined that an extra five minutes of moderate-to-vigorous walking instead of non-walking can reduce the risk of total knee OA by 16%, while the same five minutes of very light or light intensity walking has no overall effect. Cartilage is the tissue in your joints which acts as a shock absorber for your knees. Unfortunately, they can become damaged and worn, which can bring on OA, resulting in pain, stiffness, and difficulty in moving. Because cartilage acts like a sponge, it can absorb the nutrients from the compression and decompression of your body weight as you walk, meaning it can attempt to repair itself faster. This is very important: walking, like all exercise, helps to build leg muscles and stronger leg muscles can take a level of pressure off your joints and can handle more of the weight themselves, resulting in less knee pain. Studies prove that one pound of weight lost removes four pounds of pressure on your knees – and less pressure equals less pain. That’s a huge difference, and the best low-impact method of losing weight is the extension of your daily walking distance. Could a glass of wine a day keep knee pain away? If you’re unfortunate enough to be suffering from knee osteoarthritis, you know all too well that you’ll try anything to take the edge off the pain – and a new study from the Al-Rafidain University College in Baghdad attracted a lot of attention last month, as it claimed that a compound called resveratrol has the potential to bring a substantial amount of relief to osteoarthritis sufferers. As resveratrol is chiefly found in red grapes, and red grapes are used to make red wine, it’s not surprising the story got a hefty amount of headlines. 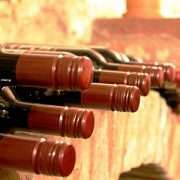 The study – which involved 110 patients – investigated the potential of red wine as an OA symptom alleviant by splitting up the study group into two, and giving one group a resveratrol treatment and the other half a placebo. In the end, the research team discovered that the group on resveratrol not only reported much less pain than the placebo-taking group, but also measurably showed less physical markers of inflammation. We’ve known for a while that red wine – taken in moderation – boasts a welter of health benefits. For starters, it’s a natural antimicrobial agent – which can help our immune system fend off the likes of Staphylococcus aureus, Clostridium perfringes, Bacillus sp. and Klebsiella sp. More importantly, it’s very good at attacking S.aureus, which is the leading cause of septic arthritis. The bad news is that a glass of wine contains a tiny amount of resveratrol, and to receive the full benefits of it, you’d have to get through a glass big enough to contain eleven litres of plonk a day to get the recommended amount used in most studies – which would definitely go some way towards alleviating knee pain, but would cause far more health problems. No doubt there’ll be more studies about the potential benefits of resveratrol and, maybe, one day scientists will work out how to deliver enough of it to fend off the effects of knee OA – but until then, we’re going to have to rely on the very real benefits of knee replacement surgery – be it total or partial replacement. It’s a procedure which can become necessary at any age, due to ageing, injury or disease, and is required when the current knee has deteriorated to the point where your mobility has been sufficiently reduced and you are experiencing pain. http://www.mrjonathanwebb.co.uk/wp-content/uploads/2018/10/knee-replacement-surgery-specialist.jpg 300 300 admin http://www.mrjonathanwebb.co.uk/wp-content/uploads/2017/03/Jonathan-Webb-logo-revised-position-1.png admin2018-10-21 19:51:562018-10-09 19:59:14Could a glass of wine a day keep knee pain away? With female sports continuing their rise to prominence, it’s no surprise that more and more women are beginning to participate. It’s also no surprise that more participants mean more sports injuries, and the race is on to understand the particular gender-related needs of injured athletes. A new report, published in the July issue of the Journal of the American Academy of Orthopaedic Surgeons (JAAOS), has shed some light on the role that gender plays in the most common sports injuries and treatment outcomes. And the key points are interesting, to say the least. We all know the key differences between the body structure of males and females: women have a narrower intercondylar notch and a smaller ACL, which makes them more prone to injury. They also have a wider pelvis, which applies more pressure to the inside of the knee, which can cause the ACL to tear. Their ligaments also tend to have more laxity than men’s, a microscopically slower response in knee-stabilizing muscles, and weaker hamstring strength. However, the report discovered that male athletes still compromise the vast bulk of sports-related injuries (71% in all), due to greater exposure to high-risk activities. Fair enough – but this also increases the danger that the sports injury community are over-catering to the needs of male athletes, while saddling female athletes with treatment strategies that aren’t bespoke. The study authors examined five common sports-related injuries – stress fractures, ACL tears, shoulder instability, concussion and femoroacetabular impingement – a condition in which extra bone grows along one or both bones that form the hip joint. Females tended to demonstrate patterns of landing after a jump which are different from male landing patterns, and which are closely associated with ACL tears. For both sexes, training programs can be used to teach at-risk athletes to modify landing patterns, in order to help prevent ACL injury. Lead study author Cordelia Carter, MD encapsulated the findings by stating; “Males and females have different risk factors for experiencing SRIs. Anatomic and physiologic characteristics such as skeletal structure, muscle mass, ligament laxity, and hormone levels differ between the sexes and may contribute to disparate injury risk. The moral of the story? One-size-fits-all treatments run the risk of destabilising injured female athletes, and we are still in our infancy when it comes to the role of gender in sports injury. We’re all aware of the dangers of burnout in young athletes, but new research presented by the American Orthopaedic Society for Sports Medicine shows has added a new and even more dangerous factor: the increased risk of ACL injuries in young athletes. We all know the damage an ACL injury can do to a sporting career: the anterior cruciate ligament is an incredibly vital component of the knee, playing a crucial role in the restraining force of the knee. If you’re playing a sport which requires a lot of lateral movement, such as tennis, football and volleyball, an ACL injury can be brutal. What’s more the long recovery period and achingly gradual recovery period from an ACL injury can be hugely demoralising on a young athlete. The research, conducted by researchers at the Henry Ford Health System in Detroit, studied 85 athletes over the course of 15 years in a range of sports – from track and field and basketball to volleyball and soccer. Utilising film of young athletes undergoing vertical and drop jumps, the researchers analysed the ergonomics of the jumping techniques, measured again fatigue levels. Their conclusion: over half of the athletes who demonstrated over 20% fatigue showed an increased ACL injury risk, with female athletes and those over the age of 15 were more likely to demonstrate fatigued jumping that increased their risk of ACL injury. Fatigue in young and potentially undisciplined athletes can bring on a lapse in concentration which affects the performance of the fundamentals a particular sport requires and is more than simple tiredness: symptoms of fatigue are similar to those of flu, and can be brought on by illness, depression, joint and muscle pain, stress, overextending, poor sleep, anaemia or a lack of physical activity. Obviously we can rule out the last symptom, but the pressures endured by young athletes can easily mount up, and can easily play havoc (however momentarily) with the sensorimotor system – which helps us to sense our body position and formulate our next move, be it putting one foot in front of the other, coming to a stop, or – in the case of athletes – performing a series of movements a little bit faster and smoother than the average person. Think carefully about the mechanics of performing a jump: now think about them again. There are more elements involved in the performing a safe jump than you first thought. While the sample size of the study was a relatively small one, it gives further guidance for coaches and how they should structure training sessions, taking into account the physical and mental state of their young athletes to prevent ACL injuries in young athletes. 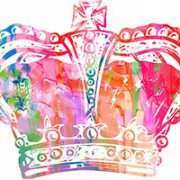 As Queen reluctant to undergo knee surgery, what does recovery in older knee replacement patients entail? The recent news story about the Queen turning down the opportunity for knee replacement surgery in order to carry on with her forthcoming engagements gives us the ideal opportunity to discuss knee surgery in older patients. While most people the Queen’s age don’t tend to put themselves through the 200-plus engagements she goes through every year, we’re long past the stage where the older generation are expected to spend the rest of their lives sat in bath chairs – and today’s generation of seniors are certainly more active (and want to be) than their grandparents were. And when knee problems set in, many people in later life want to take advantage of new surgical advances. But is it worth it? 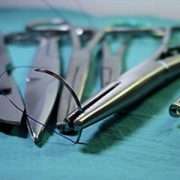 A study conducted earlier this year by the John Hopkins School of Medicine in Baltimore looked into post-operation reports from people over 65 who had undergone arthroscopic partial meniscectomy – a procedure which involves shaving or cutting out damaged or torn tissue, which accounts for an estimated two-thirds of knee operations on the over-65s in the US. And while the procedure is seen as a massively successful operation for younger patients who have suffered severe knee damage, the reports suggest it may not be the thing for seniors. According to the study, which was published in February of this year, APM surgery only works on older patients as a placebo effect: the patient has had something done to their knee, therefore the knee must be better. In actual fact, studies prove that the procedure has little to no beneficial physical effect on patients over 65. So, when is too old? Then again, what the experts think about knee replacement surgery isn’t as important as what the patients feel after they’ve had it, and a few studies bear out the idea that it’s still worth it. A 2010 study found that patients aged 75 to 90 generally felt that knee surgery had improved the quality of their lives – out of the 48 people surveyed, all but one believed that having surgery was a wise decision. A more recent study – conducted in 2014 – focused upon hip replacement surgery on people in their 90s and concluded that the results were comparable to a study group of younger patients – assuming that the older patient was generally in good health in the first place. However, and for obvious reasons, patients in their 90s stay in hospital for longer, and were more likely to be readmitted after three months – but infection rates were no different when compared to the younger study group. So, in summary: it’s complicated, but not necessarily in a bad way. Some people of senior age will be happy to undergo London knee replacement surgery and feel better for doing so, while others will feel it’s not worth the bother and are willing to make accommodations to their lifestyle to work around their knee problems. Or, in the case of people like Her Maj, they’re just too busy to go through the downtime of surgery. http://www.mrjonathanwebb.co.uk/wp-content/uploads/2018/08/London-knee-replacement-surgery.jpg 200 300 admin http://www.mrjonathanwebb.co.uk/wp-content/uploads/2017/03/Jonathan-Webb-logo-revised-position-1.png admin2018-08-07 19:41:512018-08-06 19:48:17As Queen reluctant to undergo knee surgery, what does recovery in older knee replacement patients entail? We’re all aware of the main health benefits of controlled weight loss: the decrease in the risk of diabetes and heart disease. However, there is another significant benefit of maintaining a healthy weight – the impact on our joints. It goes without saying that obesity can do serious damage to the joints, particularly the knee joints, and previous research has demonstrated that overweight and obese individuals with knee osteoarthritis can reduce pain by 50% and significantly improve function and mobility with a 10% or more weight loss over an 18-month period. Now researchers from the Wake Forest University in North Carolina have fleshed out those findings with more revelations. The latest findings, which were published in Arthritis Care & Research, reveal that losing 20% or more of your body weight has the added benefit of continued improvement in physical health-related quality of life – along with an additional 25% reduction in pain and improvement in function. The study, which involved 240 overweight and obese middle-aged adults who suffered from pain and knee osteoarthritis, divided the participants into four groups according to how much weight they lost over an 18-month period and put them through an assortment of interviews and tests. The researchers found that the greater the weight loss, the better participants fared in terms of pain, function, 6-minute walk distance, physical and mental health-related quality of life, knee joint compression force, and IL-6, a marker of inflammation. Not only that, but when comparing the two highest groups – the ones which lost 10% of their body weight and the group which lost 20% – the latter group had 25% less pain and better function than the former, and a significantly better health-related quality of life. The obvious explanation for this is that the less weight you put on your joints, there less chance there is of causing damage, which will lead to a welter of OA issues, but it’s not as simple as that, as another study into knee arthritis prevention from the University of Surrey bears out. 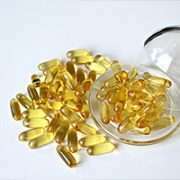 According to their findings, a gram of fish oil per day could help reduce pain levels for osteoarthritis sufferers, as well as reduce inflammation in the joints – a key factor in knee pain. Furthermore, the study thoroughly recommends a calorie-restricted diet for overweight and obese people with OA issues, for two main reasons: to speed up weight loss, and also deal with high blood cholesterol, which is a key factor in osteoarthritis. 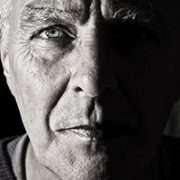 With osteoarthritis, prevention is better than cure – mainly because there is no cure yet. And as both studies bear out, the best shot we all have in preventing an ailment which affects over 8,750,000 people in the UK and 15% of the entire planet is a healthy lifestyle and a sensible diet. Bottom line: the more you have to lose, the more you have to gain. When you’re struggling to perform everyday tasks due to aching, painful joints, it’s no surprise that your mood will suffer. Data shows that rates of depression and anxiety can be between two and ten times greater than the rates of the general population, depending on the type of arthritis you’re suffering from. A new study conducted by the University of Maryland in the US and presented at the recent Annual Congress of the European League against Rheumatism, claimed that depression and its side-effects was becoming a stronger factor in the cause and treatment of knee OA. According to the study, which evaluated 1,652 patients with knee OA but who were below the screening threshold for probable depression, the chances of developing depression can rise to 20% – double that of the general population. Not only that, but depression in knee arthritis is associated with a lower quality of life, a higher mortality rate, and a greater reliance on healthcare. After assessing OA disease severity at baseline and on three annual follow-up visits – where they examined patients for minimum joint space width, 20-metre gait speed and measuring pain levels on a pain subscale of the WOMAC Index – the research team focussed upon the risks of the onset of depression amongst the study group. Their findings concluded that greater structural disease severity and decreased physical performance are associated with a statistically significant increased risk of experiencing depression. The two diseases become enmeshed closely; anxiety and depression can lower the pain threshold and chronic pain is known to aggravate anxiety and depression. Inflammation associated with knee osteoarthritis also plays a role: in a 2016 study published in The Journal of Clinical Psychiatry, over 10,000 patient cases were reviewed and those displaying the symptoms of depression were found to have levels of a particular inflammation marker 31% higher than those with no depressive symptoms. Furthermore, those suffering from arthritis and depression typically find physical activity and normal function becomes limited and often struggle to follow treatment programmes and therefore are at risk of developing further health problems. This factor was clearly demonstrated by another study conducted in Japan earlier this year, which examined the link between knee pain and function and depressive symptoms – but this time zeroed in on an older sample group (573 adults aged over 65) and the activities which depressed them the most. The study, conducted by Tokyo’s Keio University School of Medicine, discovered that the most problematic symptoms were pain at night while in bed, difficulty getting in and out of a car, and difficulty in putting on (and taking off) socks. 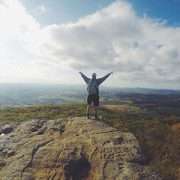 Again, it’s clear that being encumbered by pain and difficulty while performing the most mundane tasks – things that younger people take for granted – are more of a factor than losing the ability to run or climb. As well as the personal effects of depression on the general population, we’re also becoming more aware of the detriment it has on the economy. It has been estimated that depression costs the UK economy 15.8 work hours per annum, with an estimated 21% of all sick days in the UK are caused by workplace stress. The NHS prescribed a record number of antidepressants last year – over double the amount it dispensed a decade ago. The importance of treating knee osteoarthritis effectively, whether through the management of symptoms or surgical intervention in the form of knee replacement surgery, is essential for preserving quality of life. If you’re into sport, chances are you’ve played golf. It’s often the go-to pursuit for so many retired professional sportspersons, and for obvious reasons: it allows you to stay competitive well into later life with minimal strain and stress. The health benefits are manifold, as well: it’s been estimated that you’ll be walking for over six and a half miles while playing the average round of golf, which more than takes care of your daily recommended walking distance. That is, of course, if you’re not using a golf cart. On the face of it, golf carts are an absolute boon, especially for those of us suffering from knee osteoarthritis. And if you’re already suffering from knee arthritis, wouldn’t forgoing the cart aggravate your ailment even further? According to a study into golf and knee arthritis that has recently been published in America, it seems that the answer is ‘no’. Plenty of golfers suffering from knee arthritis seem to think that golf carts are a life-saver: in the late 80s, 45% of all golf rounds in America were played with a cart. Nowadays, that percentage has rocketed up to 69%. However, the new study – the first of its kind, conducted by the Shirley Ryan Ability Lab and Northwestern Medicine, and presented at the Osteoarthritis Research Society International Annual Meeting in Liverpool in April – demonstrates that playing a round on foot the course provides significantly higher health benefits. More importantly, walking is not associated with increased pain, cartilage breakdown or inflammation. The study analysed the on-course habits of 15 participants – ten who had knee osteoarthritis and five who were of similar age, but were OA-free. The participants were invited to play 18 holes on foot one day, and then a round with a golf cart on a different day. The research team compared their heart rates to determine the intensity of exercise performed and took blood samples during each round to measure markers of cartilage stress and inflammation. The researchers found that, prior to starting either of the rounds, the participants with knee osteoarthritis had an average pain score of 1.3 (on a scale of 0-10). When they played the round walking the course, they had an average 2.1-point increase in pain score. When they played the round using the golf cart, they experienced on average a 1.5-point increase – a difference that is deemed not clinically significant. When walking the course, golfers with knee osteoarthritis spent more than 60% of the round with heart rates in the moderate intensity heart rate zone – which corresponds with other adequate exercise activities. When driving on a cart, however, golfers spent 30% of the round in that range. While this figure is lower, it still fulfils daily exercise recommendations. 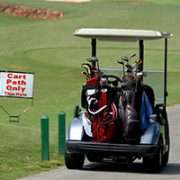 So, while walking the course offers the most significant health benefits – and is not the aggravating factor on knee OA as first thought – the study found that riding the course with a golf cart during a round (and the walking that still comes with it) still offers cardiovascular benefits and helps fulfil daily exercise guidelines. We know what excess body weight does to the joints, particularly the joints of OA sufferers, so the advice is clear: leaving the cart outside the clubhouse is a far better long-term option, because the idea that extended periods of walking is going to shorten your golfing lifespan is nothing to worry about. But the good news is that while walking is better than the cart, using the cart over not playing golf at all is still the better exercise option.